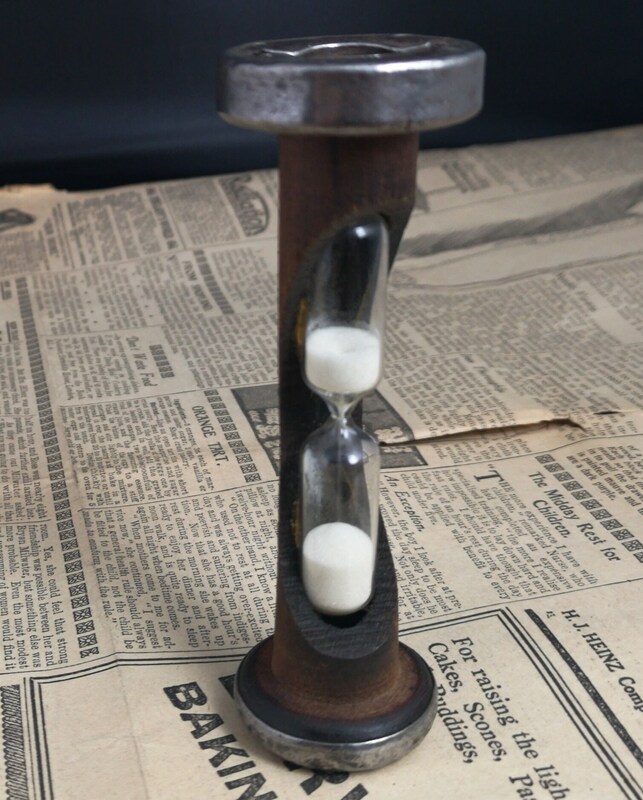 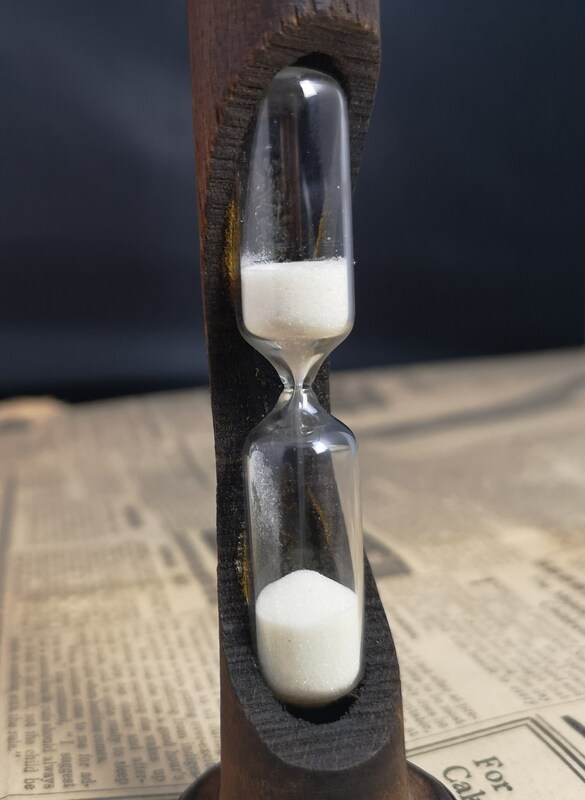 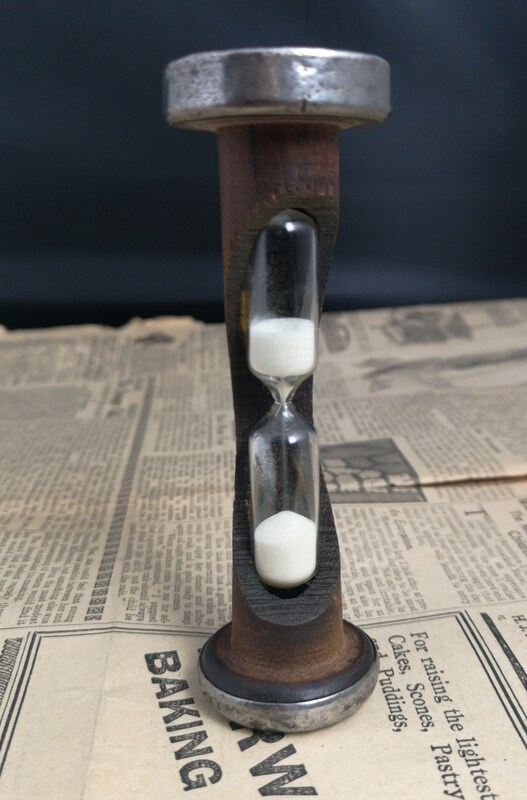 A fantastic early 20th century egg timer, rustic and primitive style crafted from an old bobbin. 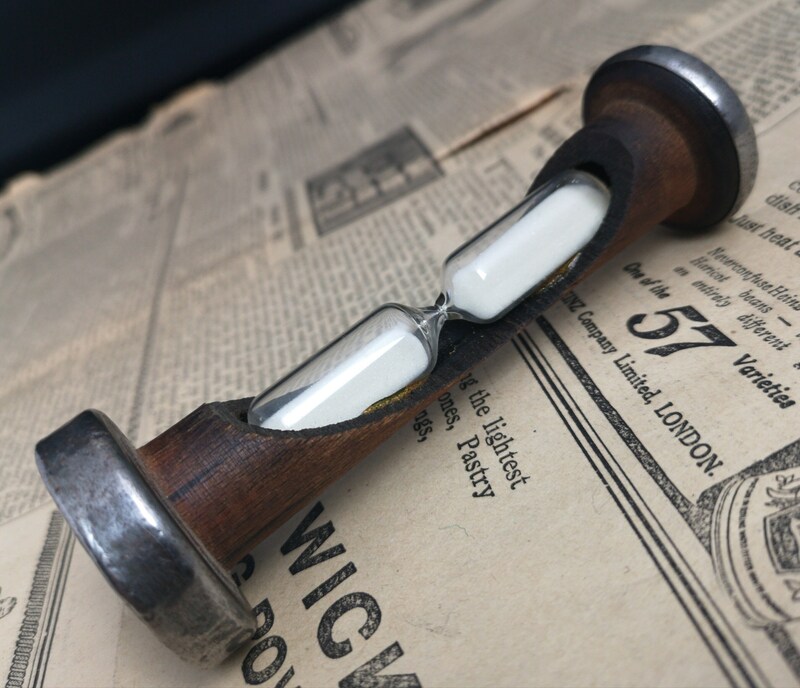 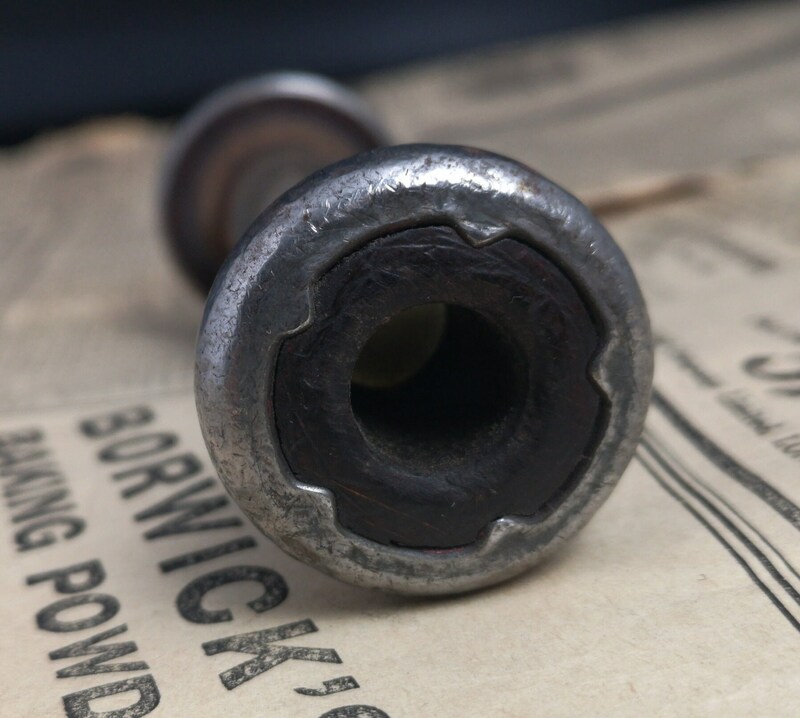 The bobbin has been hollowed to add the glass timer, it is made from oak with steel end caps. 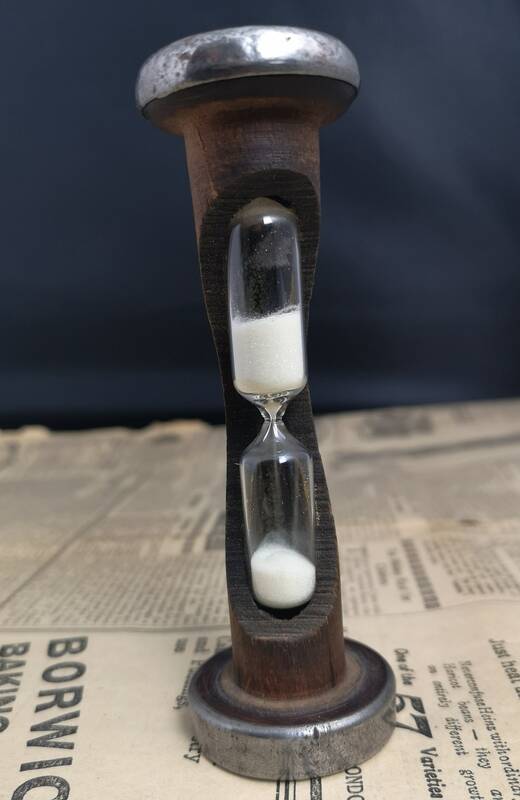 It has a traditional blown glass inner body filled with sand that can be turned either way to measure the time. 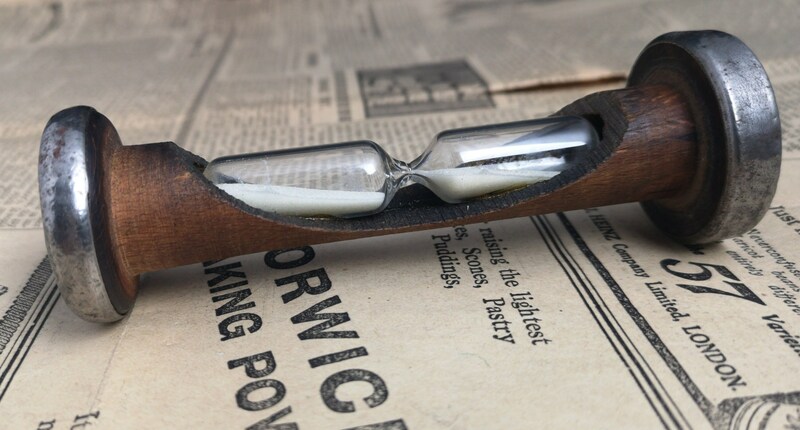 The glass is free from chips or cracks, nice functional piece of textiles history.